My very friendly japanese teacher offers me a snack for each lesson, usually tea or coffee with some fine japanese sweets specialities. 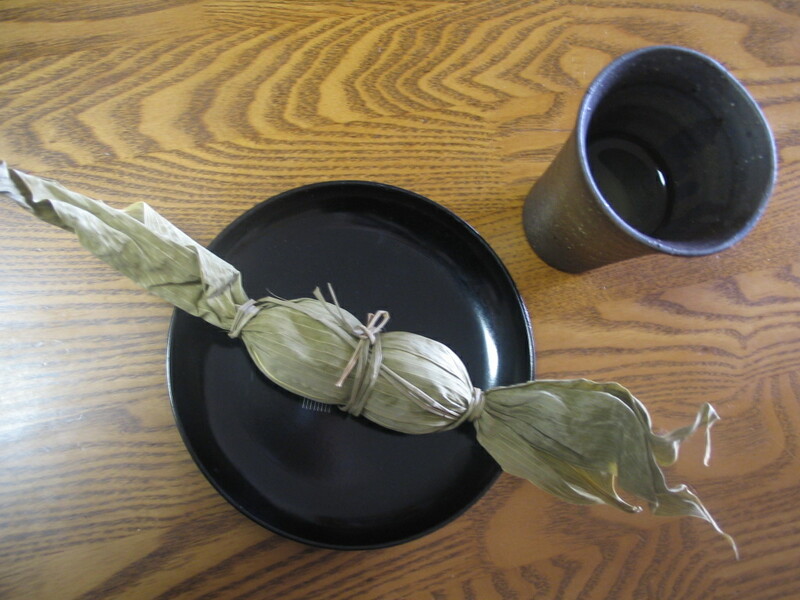 This was today's snack, tea with mochi, a soft, very sticky kind of rice cake, this one filled with anko, sweet bean paste, wrapped in a bamboo leaf in a traditional way. In the beginning, I found mochi a very strange thing to eat, but the more I eat it, the more I like it.